Are they all really worth their insane price tags? We recently did a list of the most overpriced Ferrari models that are currently on the market. These were special edition models that are worth way more now then when they were sold new. We also proved that not all limited edition cars appreciate in value, but with Ferrari and Porsche cars, it seems like they are all destined to go up in value. This list will focus on 911 models only, mostly because we think that other expensive Porsche models like the Carrera GT and 918 are actually fantastic values compared to the cars that they once competed against. Before deliveries even begun, the Porsche 911 R enjoyed incredible appreciation. The R is very special because it is basically a GT3 RS with a manual transmission and no extreme aero. However, some people are asking over $1 million for examples that have been painted in a unique color, because only a few of the 991 examples were offered in a color other than white. Even the cheapest examples that we have found are over $500,000, which is more than double its MSRP of $185,000. 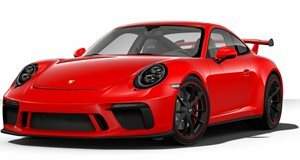 It may be rare, but that is a hefty premium to pay for a car that could be irrelevant once the next-generation GT3 comes out with a manual transmission. 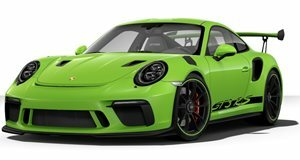 Porsche enthusiasts have been clamoring to buy "the last" manual transmission models, but this hasn't stopped the PDK-only 991.1 GT3 RS from shooting up in value. These cars have slowed down a bit, and can now be purchased used in the mid-$200,000 range, but good luck finding one for its MSRP price of $176,000. The most expensive examples that we found were over $300,000, which means they are twice as expensive as the least expensive GT3s that we saw from the same generation. The RS may be a nice improvement, but it can't possibly be worth twice as much as a standard GT3. These prices also put the GT3 RS against much stiffer competition (price wise) from Ferrari and McLaren. The 993 is arguably the greatest generation of the 911 because it was the last air cooled variant. 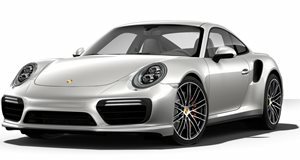 Clearly prices reflect the car's legacy, because when we did our search for used 911 prices, the 993 Turbo S was the most expensive car we could find. The blue 1997 model that we saw has an eye-watering price of $795,000, which is more than $300,00 more than the next most expensive Turbo S that we found. Even a standard 993 Turbo can hit over $200,000, and the far rarer GT2 model can hit well over $1 million. The 993 might be the most value 911 generation for a very long time. The 911 R is currently receiving a lot of buzz on the used market, but that car's predecessor, the GT3 RS 4.0 might be even more special. Where as Porsche built 991 units of the 911 R, the 4.0 only had a 600-unit run. We only found one for sale, for just a hair under $500,000. The 4.0 makes just as much power as the new R (500 hp), but has a much more track-focused personality. It was actually faster than the R to 60 mph by 0.2 seconds, and could lap the Nurburgring in 7 minutes and 27 seconds. It may be a lot more expensive than a standard 997 GT3 RS, but it does have a lot to offer as far as rarity and performance. It also only came with a manual transmission. A lot of people seem to forget about what is easily the most insane 911 that Porsche has ever produced, the GT2 RS. Basically this car was a more powerful, RWD version of the 911 Turbo that could only be had with a manual transmission. The term, "widow-maker" doesn't even begin to describe it. This car had 612 hp and only 131 units were built in total. Like the 4.0, the GT2 RS can be purchased for a tick under $500,000. Not only is the GT2 RS the most insane 911 ever made, it is also one of the rarest. We aren't sure why people seem to overlook this model as much as they do. If we had to pick one car on this list that we thought was the "best value," it would easily be the GT2 RS.